Small cameras can be found more and more in automobiles; in your rear view mirror, your head and tail lights and even in your dashboard. These cameras ensure the passengers’ safety. Micro-optics are the optical parts that the camera uses to grab an image. A high-quality image can only be obtained if these optical parts are clean and assembled with high accuracy. 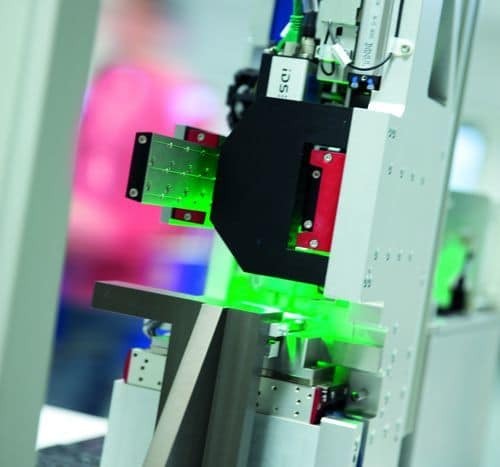 The following case describes how our customers are able to assemble their micro-optic products at very high accuracy and in high volumes. 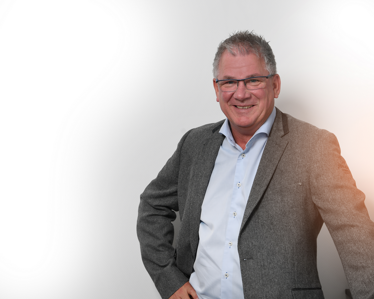 Our customers are active in the dynamic optics market, often facing sudden changing demands and stringent quality requirements. 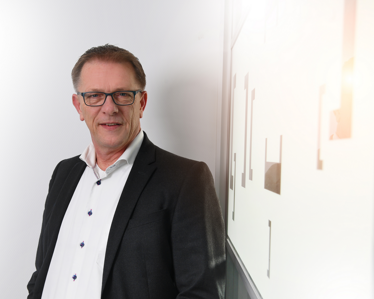 This type of market calls for a production solution that is flexible as well as adaptable for future product type manufacturing. Further characteristics of this production solution: it must be capable of producing a high mix, in high volume with very high accuracy whilst providing a clean environment. Product quality is very important to our customers. To assure the best possible quality, the micro-optic products need to be manufactured and assembled with very high accuracy. 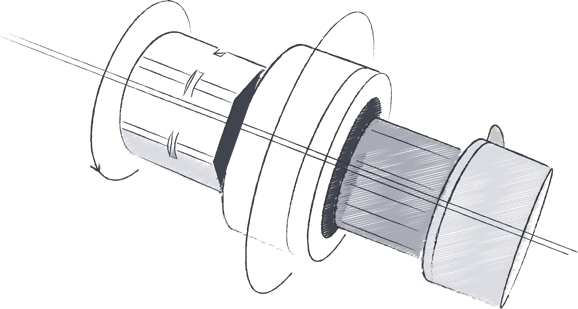 The more accurate the assembly, the better image quality you get out of the micro-optic product. In order to achieve this highly accurate assembly, we need to be able to see and measure at the position where we assemble the components. We have developed a special solution to do this and subsequently manipulate and position the components. The special vision system uses negative perspective that allows us to see two components lying on top of each other in one shot, even if the components have exactly the same dimensions. With the image generated using the vision system, we calculate the relative offset between the two components and use this to align them with great precision. We can then place the components on or in each other with meticulous accuracy. A custom-made linear motor positions the parts relative to each other with an accuracy smaller than 1 micron. If the components have moved, we apply the appropriate correction to both equally. 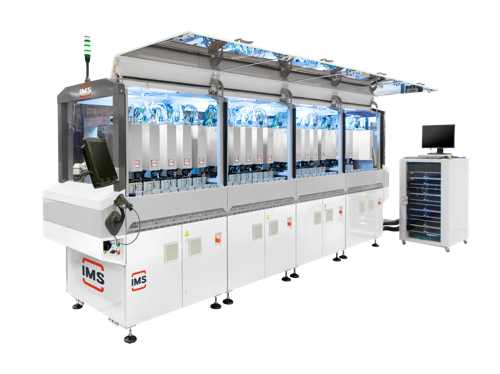 As a basis for the total production line we built and delivered, we use our IMS ProMu modular automation platform. 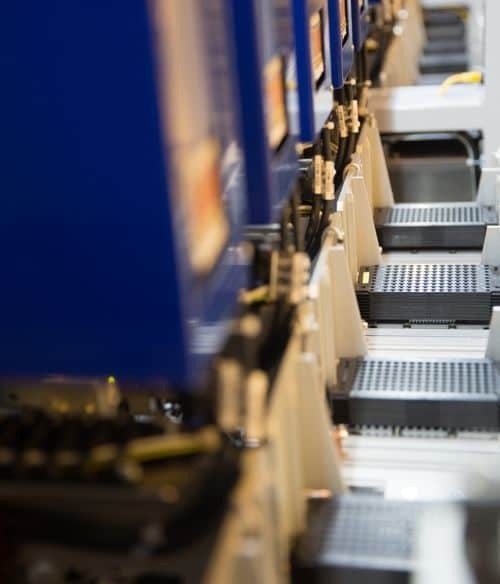 On top of this platform, multiple process units take care of the process steps. This platform is very suitable for this type of manufacturing because of its pre-positioning accuracy of 0.02 mm, with fine positioning to sub-micron accuracy. We can achieve such high accuracy since positioning is unaffected by temperature and vibration variations or differences, which remain under tight control within the platform. The built-in clean air environment allows for clean assembly of delicate product parts. With a vision check after every assembly step, we check for errors, contamination, and scratches. Whenever the machine discovers such an error, the product is taken out of the production process. A modular platform means that multiple platforms can be connected to each other. Another aspect of this modularity is that process units are interchangeable, one can shuffle around with the assembly steps. We can extend platforms to enlarge the number of process steps performed on the production line. We have delivered a total of 50 production lines for micro-optics to this day. 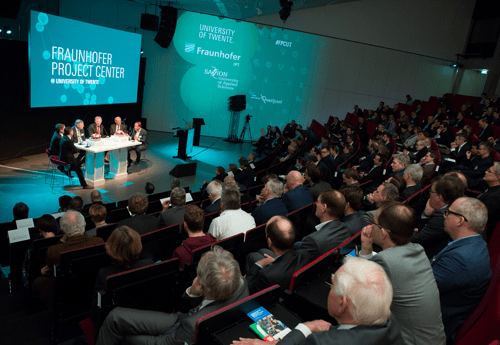 To broaden our knowledge and the possibilities in the field of micro-optics assembly, we have joined forces with the experts from the Fraunhofer Project Center at the University of Twente. They are the go-to design and production engineering institute for complex, high-tech systems. 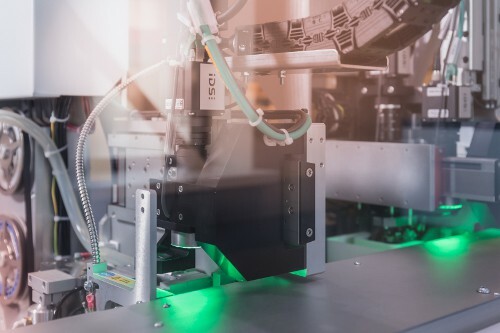 Our collaborations with Fraunhofer will make it possible to serve our customers with the best technology for assembling their micro-optics products.